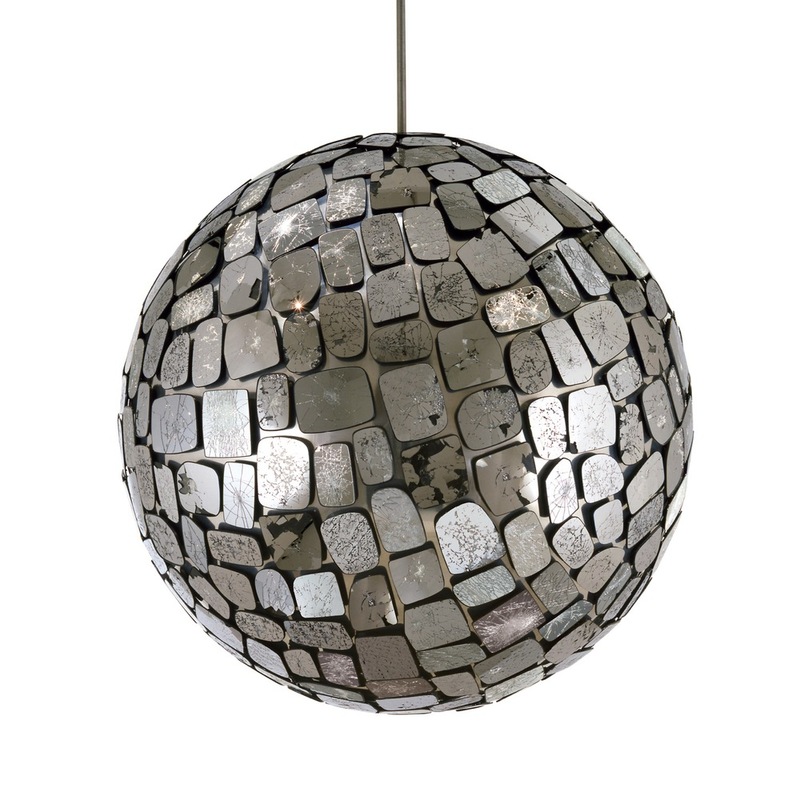 This oversized representation of a generic 1970’s disco ball is composed from over 300 smashed vehicle wing mirrors from a large selection of car brands. I became fascinated by their beauty which was the result of a violent accident. The fragmented broken surfaces transform into jewel like artifacts glistening in the light. The Mirror Ball is an archive of accidents, turning a collection of aggressive acts into something of beauty. The huge ball rotates slowly and is illuminated by external spotlights which reflect perfectly the shattered mirror patterns onto the surrounding space. Material - Smashed car wing mirrors, polished aluminium sphere, rotator.